Plumbers are always in demand as no kitchen or bathroom can exist without plumbing. Plumbing services in general refer to the servicing, repair or maintenance of the pipes, fixtures, and other apparatus of water, gas or sewage system in a building. Plumbing services offered by plumbing contractors cover mainly bathrooms, kitchens and other special units including saunas and spas. Plumbing service categories include general plumbing services, pipe-fitting services, pipe-laying services and steam-fitting services. General plumbing services offered by plumbing contractors include the installation and repair of water, waste disposal, drainage and gas systems, installation of fixtures like showers/toilets and hot water systems. Some plumbing contractors specialize in pipe-fitting and pipe-laying, whose services are available for specific projects. Water supply systems, boilers and central heating systems are quite complex and only a licensed plumber with specialized skills can figure out what’s gone wrong and repair them. If you are remodeling or working on home improvement projects, always go with a licensed plumbing contractor as they know not only know the code and but also make sure that you pass the inspection. They will also advise you on the latest trends and fittings (updated versions) to hit the market. You can gain from their expertise and experience by providing guidance in choosing the most economical faucets / accessories worth the money you spend. 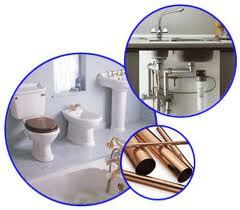 A to get superior plumbing services as well as. Plumbing involves a wide variety of work that can either be on a small scale or a larger scale; depending on whether it is a residential or commercial building. Make an informed decision and choose the right plumbing contractor to get clean drinking water and have a healthy life. Sometimes people think that plumbers are expensive but a licensed and insured plumber is worth their money as they have to put in the effort and money to be in that profession.